You can now help financially this documentary and enjoy exclusives packages. Also you receive collector edition of t-shirt, bags,.... Help the Lynchtree project ! 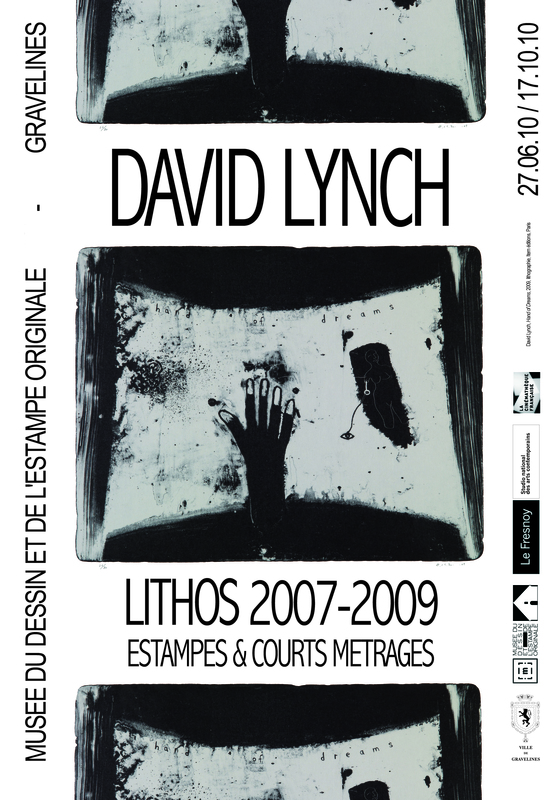 During june 27 at october 17 in the museum of Gravelines, you can see "Lythos 2007 - 2009, Estampes et courts métrages". You can see many prints (many are sell on the site itemedition) and the short movies six men getting sick, the alphabet and many more. More than a simple website, enter in the virtual world of Lynch. Fresh, dark, take time to see it ! The poster of the 61st Festival de Cannes is a work by Pierre Collier to do a tribute to David Lynch and his work. To create it, Pierre Collier use photos of David Lynch's works. Aboutlynch.com wishes you a merry Christmas and a good year 2007. A bonus (or gift)for you : you can see all trailers of movies. As well as the parodies, introduction of some series! Good visit. You can find on it, the trailer and lot of news. The movie is release now on screen ! No official news but perhaps that the last film of Lynch will be presented at the Festival of Cannes. We hope ! While waiting you can see some photographs on the site of Lynchnet. No the vidéos and sounds for the moment, but files are corrupted thus I will have to seek them on the Net. Still a little patience! licence Creative Commons Paternit� 3.0 Unported.